There are some definite advantages to being a stay at home mum and one of them is getting to go on little adventures when everyone else is at school or work. 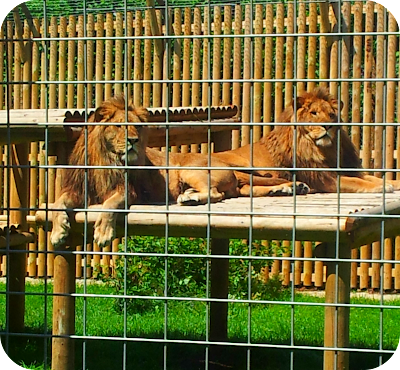 Today we went to Wingham Wildlife Park to see the Tigers and penguins and had beautiful luck with the weather. 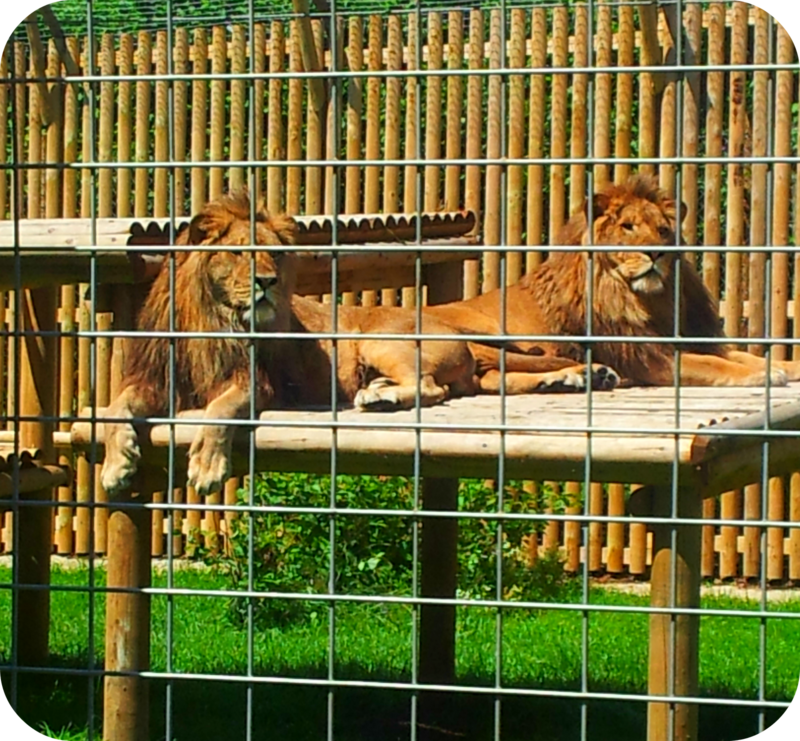 One of the best things about our day was that the zoo was so quiet, we could mooch at our leisure and enjoy the animals. 11am early to be dressed and out the house) and had a little wander while the babies finished their morning naps. Last time I visited the park Dylan was only a few weeks old and slept almost the entire time, waking only for a short feed before falling straight back into slumber-land. I did worry that he would do the same but luckily he was bright and alert after fifteen minutes and ready to explore. 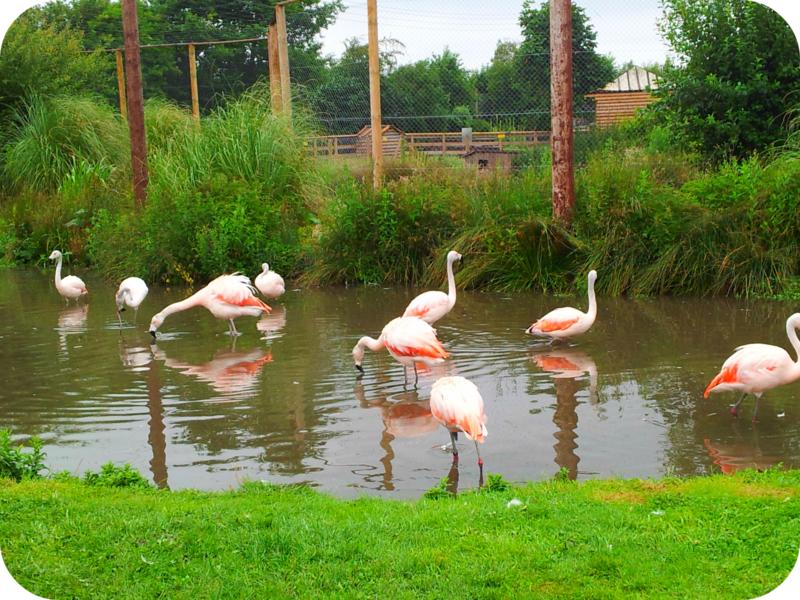 We took in the flamingos and the meercats as well as the reptile house before deciding to stop for lunch. This is where our luck really kicked in. The moment we sat down in the cafe we saw the showers had started, and we enjoyed our lunch whilst deciding who would do the run to the car for the brollys. As the little ones were finishing of their fromage frais, the rain stopped and suddenly the skies were blue and the sun shining bright - perfect! We went back out into the park and saw the lions, tigers, penguins and reindeer, and had our afternoon snacks on a lovely little shelter in the middle of a lake. I wore Dylan in my new ERGO carrier all day, on my back and then when he got tired on my front so we could have cuddles as we wandered. It was so comfortable and he loved being up high and able to see everything! 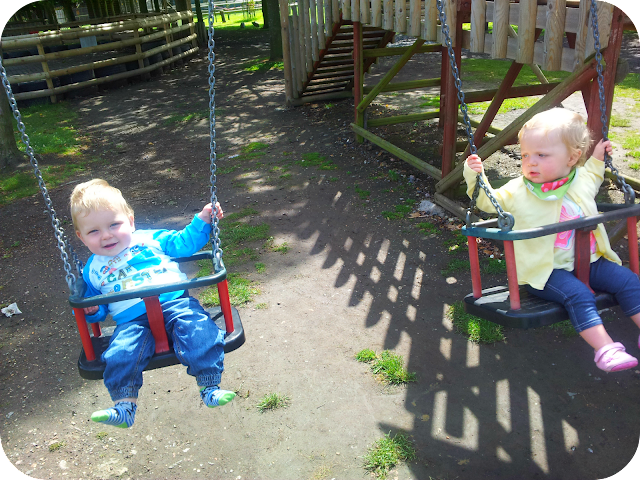 The babies started to get a bit restless later on and we found the swings and slides and let them kick around a bit which brought plenty of giggles. The day obviously tired them out as Dylan fell asleep in the car on the way home and stayed asleep even as I transferred him to his cot - a very rare occurrence! 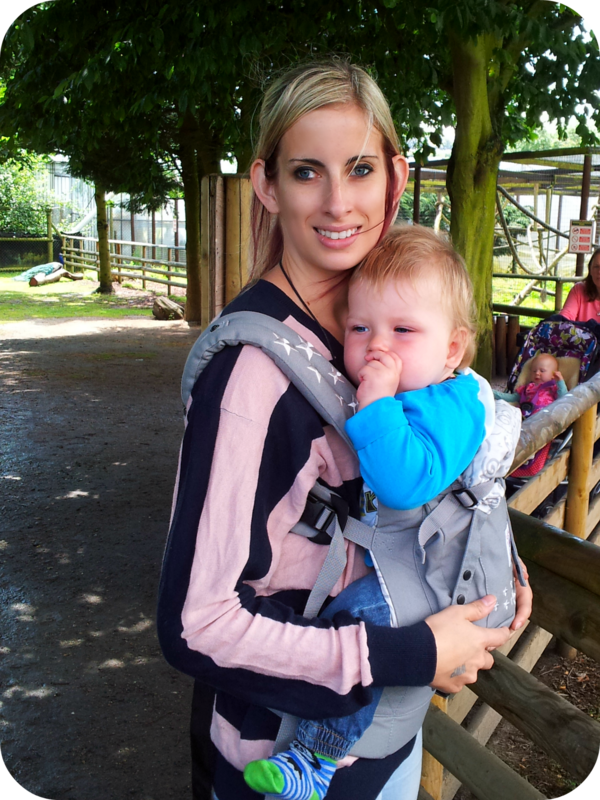 We all had a great adventure and day out at the wildlife park. It looks like you had a fab day and I have to say I am completely green with envy, how on earth did you get sunshine when we have had nothing but rain all day! We have been so lucky with the weather down here! Sounds like a wonderful day out! 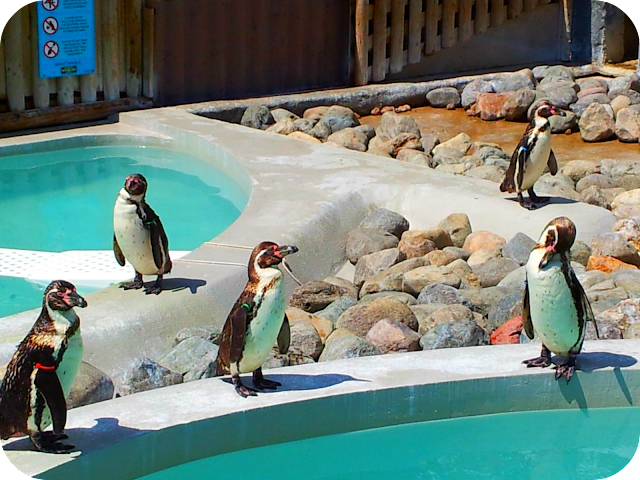 Zoos and aquariums are among our favourite family destinations. 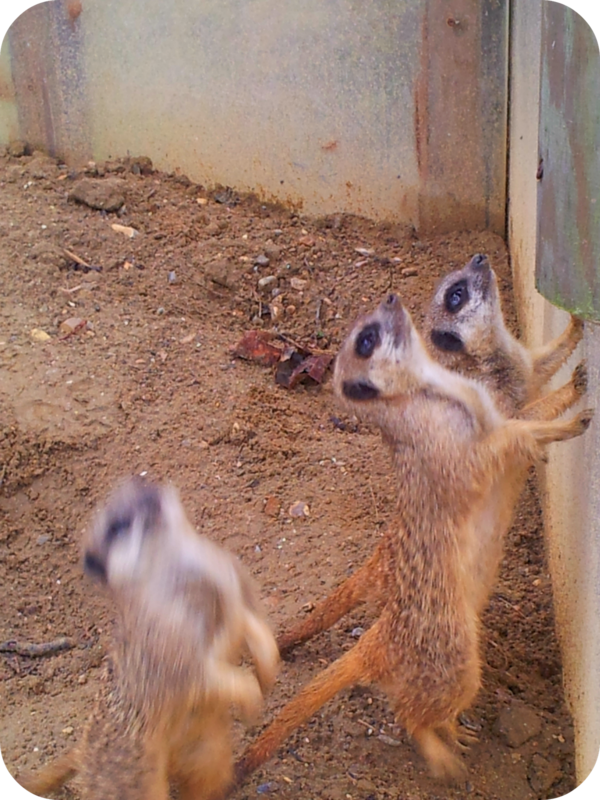 I'm pretty sure I love watching the animals just as much as my kids do! I think it is just as much for us as them, I love the penguins! What a wonderful family day out. 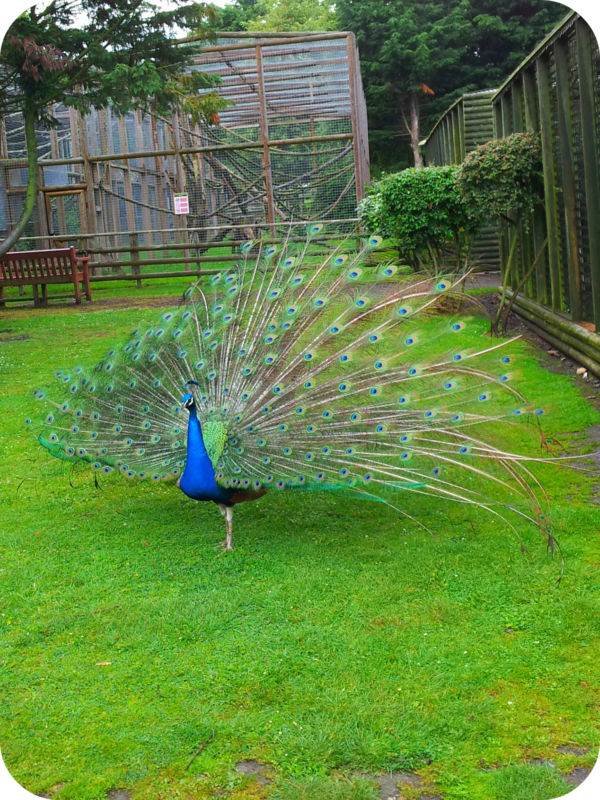 I do wonder if our Peacock will ever look as magnificent as that one? Some lovely photos there, so hard to capture animals close up. Thank you for joining in with Country Kids. 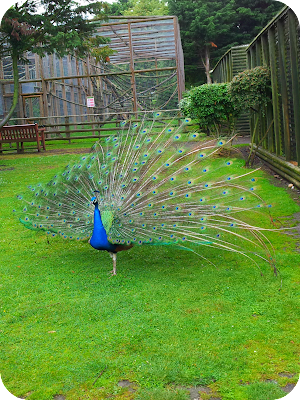 Thanks, we were lucky enough to have the peacock show us his magnificent feathers!